Havenfall is officially released! After 3+ years of work and a few setbacks, we are proud to say that we can finally sell our game. It is hard to believe that the two of us have managed to develop and produce a game on our own. We thank all of you who’ve followed and supported us as we worked to create a product we are proud of. 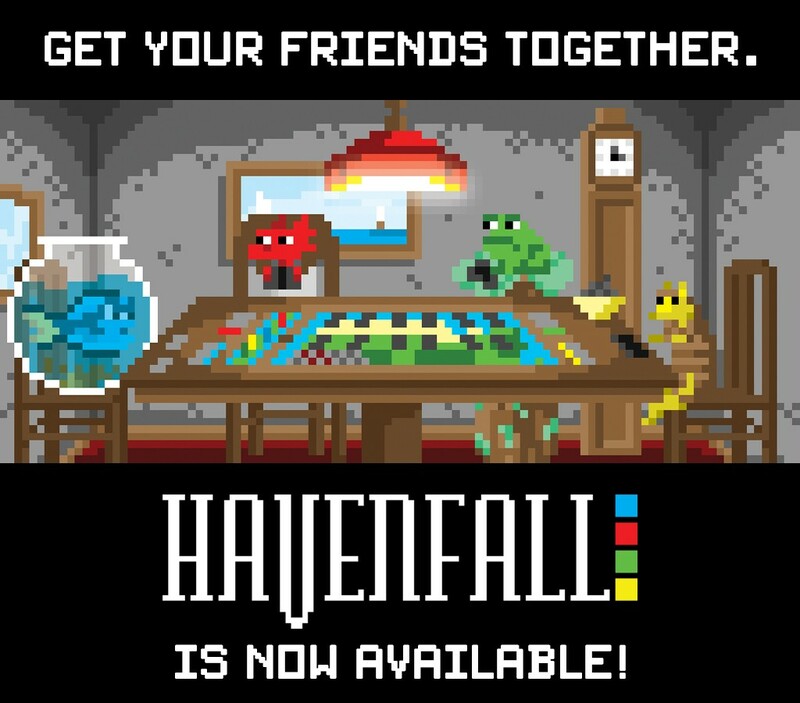 Havenfall can be purchased in our store. We are also selling the Promo cards (4 extra Leader cards). Please note, we are currently only selling in the U.S. This is a temporary measure as we do plan to sell worldwide.